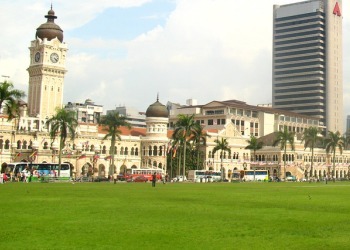 The Merdeka Square is located exactly opposite the Sultan Abdul Samad Building and right beside the Royal Selangor Club. This is the historical place where the Union Flag was lowered and the Malayan flag was raised for the very first time at the struck of midnight of 31st August 1957. From then on, Merdeka Square has been the venue for the annual Merdeka Parade. 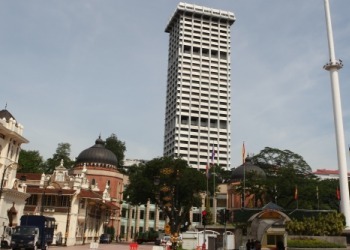 The flagpole which holds the flag of Malaysia is the highest in the world, towering at a height of 100 meters. 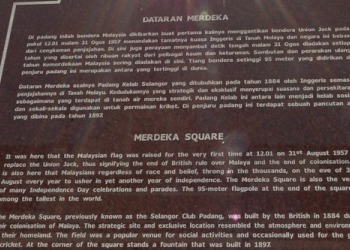 Merdeka Square is a historical site where Malaya declared its independence. If you are a fan of the Malayan history, you can come here and take some pictures. 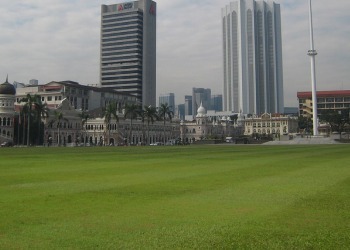 The field in front of Merdeka Square was officially named as Dataran Merdeka on 1st January in conjunction with the Visit Malaysia Year 1990. 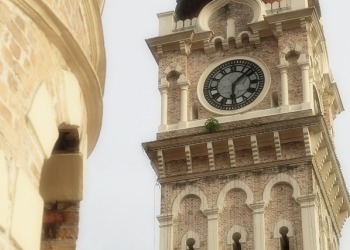 There are many attractions nearby the Merdeka Square. For shoppers, you can come over to Central Market Kuala Lumpur to buy some local souvenirs and food and at the same time learn about the different cultures of the society that makes up Malaysia. The Central Market is made up of a few floors which are occupied by many stalls. Another place where locals and tourists should visit is the Petaling Street (Chinatown) as this is the best place to taste local street foods and purchase all sorts of things. The Petaling Street is full of stalls ranging from souvenirs to fruits and even imitation goods of designer brands. If you need to cool off after hours at the Petaling Street, you can head over to Berjaya Times Square. Berjaya Times Square has the largest indoor theme park which is the Cosmo's World Theme Park. There are rides for all ages in the 380,000 sq feet area. If you are already tired from all the walking and shopping, you can put up for the night at the Berjaya Hotel which is located above the shopping center of Berjaya Times Square. You can also opt for other hotels in Kuala Lumpur or Hotels in Bukit Bintang which are also very near. In the city center, you do not have to worry about accommodation and food as there are plenty of both of them. The most convenient way to get to the Merdeka Square via public transport is by getting on any of the three train lines that runs through the Masjid Jamek station. 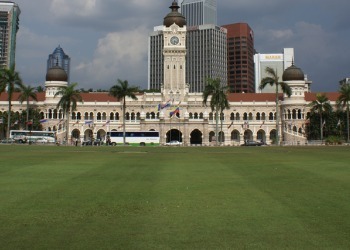 Walk towards Jamek Mosque from the station and proceed to the corner and towards the Merdeka Square.